With the holiday season behind us and the New Year in full swing, you may be noticing some new bling on a friend’s wedding finger. So, you already know what that means: It’s time to start wedding planning! Lucky enough for you, we’ve got the latest scoop on the best part of any pre-wedding celebrations, the bachelorette party of course. Bridal parties in Palm Springs are the latest trend. Every bride knows that no wedding is complete without her bride squad. Plus, what better way to thank your girls for all their hard work and support than with an epic bridal party in beautiful Palm Springs?! Rather than jetting off to traditional bachelorette party hubs, like Vegas or Cabo, where you’ll surely run into massive crowds, long club lines and dreaded bottle service fees, head to Palm Springs for a similar party experience without all the extra hassle. Palm springs is a vibrant desert oasis that has so much more to offer than meets the eye. From daytime pool parties, to extravagant dinner restaurants and a lively night scene your weekend getaway with the girls will surely be one for the books. As an added bonus, you can even hit the Cabazon Outlets or Downtown Palm Springs for some much-needed retail therapy to get you through that hangover you’ll probably be nursing after a bachelorette party in Palm Springs. 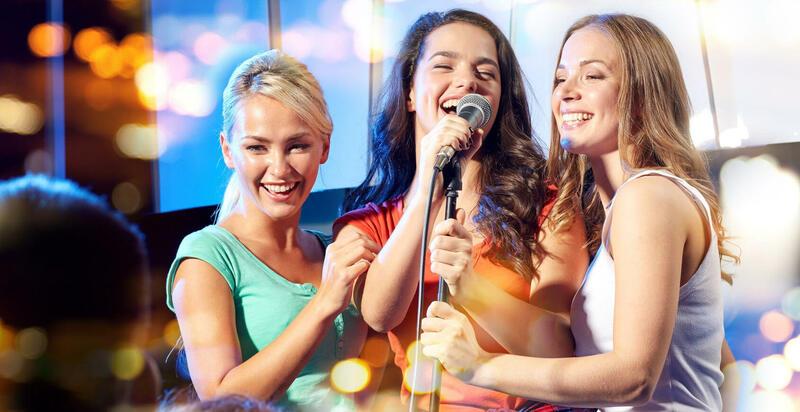 Speaking of crazy nights out, it’s no question that you and the girls will be looking for some late-night dancing and drinking spots while you’re visiting. Avoid the mainstream bars in the Downtown area, and head south on Palm Canyon Drive to experience something completely different at the array of bars situated in the infamous Palm Springs area. If you’re looking for an unforgettable night out, then be sure to stop by RetroRoom Lounge. Rated in the Top 10 Gay Bars in Palm Springs on Yelp, the RetroRoom Lounge offers classic craft cocktails, karaoke every night and happy hour 7 days a week from 9pm-midnight, and an amazing a drag show every Saturday at 9 pm. Honestly, what more could you ask for in a weekend getaway with the girls for your bachelorette party? Grab your matching outfits, and make your way over to the RetroRoom Lounge. We’ll be waiting for you!